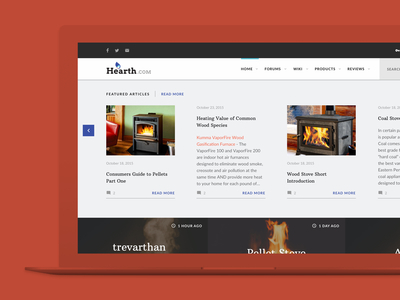 Hearth.com strives to provide opinions, articles, discussions and history related to wood stoves, pellet stoves, chimneys and in a more general sense, energy issues. Hearth came to our team needing a modern, easy-to-use interface with a fresh new brand as well. Wanting to expand upon their forum, Hearth also wanted to feature guides and articles on their homepage.